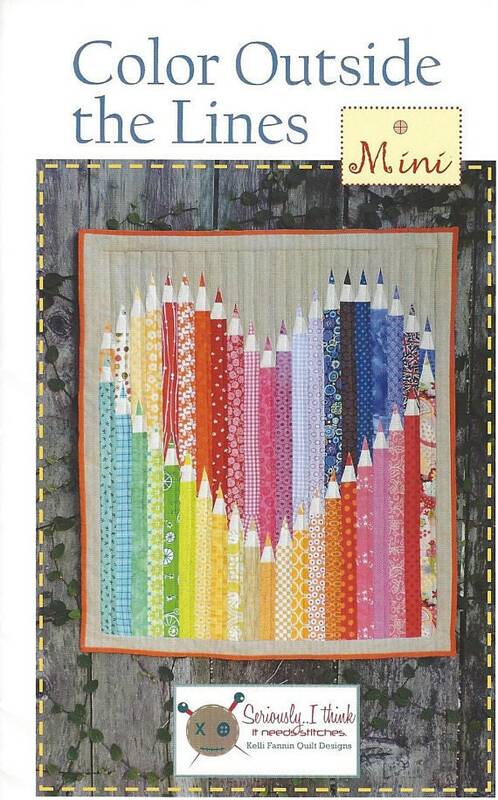 This is the MINI version of the regular Color Outside the Lines pattern. It goes together quickly, and is both 1.5" precut and scrap friendly. 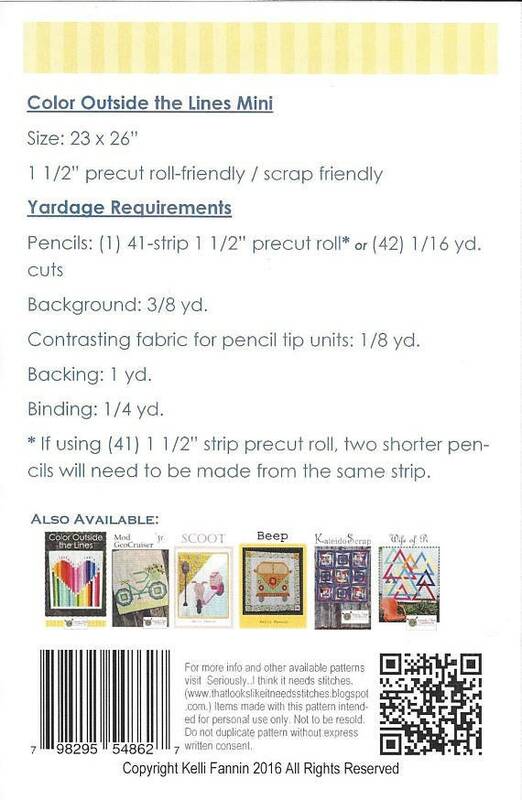 Great for a cute wall hanging or teacher gift.